If you would like to receive additional information about Sell Junk in Your Trunk, have additional questions about how our eBay selling service works or would like to comment please fill-in the information below. We will use this information to get back to you. You also can call us locally at (734) 619-0680. We are located in Ann Arbor, Michigan. 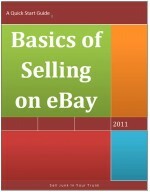 We value our customers and we look forward to helping you successfully sell your stuff on eBay.